While it might make good business sense the impact to the customer could see them dropping people. Calling about a phone problem to somebody on a line that sounds like it was from the 1970's party line is pretty ironic. Because Vodafone make higher margins by keeping customers on their own network. Instead of reselling capacity on the UFB network. And It helps with customer lock in. As there is more work involved in connecting to UFB, if the property hasn't previously been connected to UFB. Same reason why Spark is trying to move as many of their customers to fixed wireless. Instead of UFB. The harsh truth is hiring in India etc costs around a quarter of a NZ local to do the same job. So either you increase the base cost or introduce a paid NZ number for NZ support or go overseas. Sparks Manilla support is pretty good. So either you increase the base cost or introduce a paid NZ number for NZ support or go overseas. Picking this up randomly, would there be a market for paying for NZ based support if the option was there. I prefer email/live chat myself. I've seen employees offered this opportunity at my employer and it has been really well received. I think someone noted earlier, a great opportunity for those that are not engaged to jump out with incentive, can even be win-win for both parties in some cases. 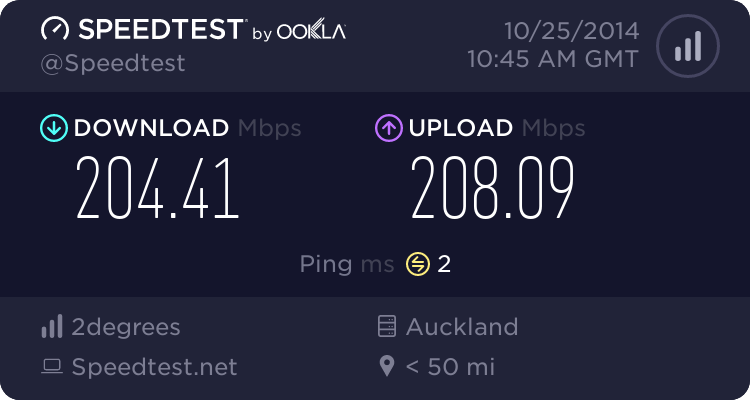 2 degrees, Slingshot/Orcon, Voyager and all the smaller ISPs seem to be doing okay despite having a NZ based call centre. Orcon moved their call centre back home, and their NPS went from negative to positive. This move is 100% about looking good on paper before an IPO launch. I think a big problem is culture and humour when dealing with NZ based support vs overseas support, where english is often not their first language. When dealing with NZ staff I find they usually fully understand things first time, and understand sarcastic remarks, you can have banter with them etc, and it is more personal experience. This then saves the custoemr time and gives the customer a good experience. But calling overseas is a colder less personal experience, maybe because they are following a set format. But I have usually had positive results from dealing with overseas call centres. I guess the real future is proper AI, and these overseas call/contact centres will be out a of a job. I am using a NZ company which has recently moved their online support offshore, and they don't always read or understand the emails, like they did when I was dealing with the NZ staff, so it isn't just phone support that is the problem. - The person you are dealing with not understanding you or don't have the knowledge. then getting passed onto another person and having to repeat it all again. I note that some banks aren't very good these days either, especially with hold times, yet banks make a lot of money. I wish that companies offered email support. Often these days there are often only two choices, phone, or live chat. Live chat I guess is okay, but a huge time waster compared to email. And if you are going to live chat, you may as well just phone them, apart from the benefit of a paper trail. I believe it is called thinking outside the box but the staff must be given the training to enable this but that usually means promotion up the ladder for the bright ones or they get bored and leave as there is no incentives. I have always had excellent call centre help from Netflix. Over the two years with Netflix I have spoken to: Florida, Sweden, Vancouver, Auckland, California and Manila (I always ask). The last time I was having huge audio sync problems with a movie via Chromcast but no sync problems via the iPad. The front line staff escalated it to their tech guys and I ended up iPhone filming my iPad and my Chromcast TV at the same time and sending it to them. All up I was chatting and filming for an hour. Within 24 hrs all was fixed. They also acknowledged that I was the first with the fault as they started getting more front line staff queries as we spoke. Great fun. "Vodafone secretly plans to outsource jobs to India: insider"
Vodafone NZ's sweeping restructure involves "culling" hundreds of call centre roles and replacing some tech staff with "Indian counterparts", an insider says. He warns the telco plans to shed "technical network and install managers" and send the roles offshore. "There have been reports that Indian staff have been found sleeping at their desks as they get used to working during New Zealand time," the source said. India is seven hours behind New Zealand. The account is similar to one offered by a (now-ex) Vodafone technician, who earlier told the Herald he was one of 40 staff who saw their jobs sent offshore to giant Indian outsourcer Infosys. The laid-off staff were asked to mentor their Indian replacements before leaving. "We had to train them for eight weeks. It really rubbed salt into the wound." Crikey, India is just a terrible idea. I've worked in IT for 20 mumble something years now, and in that time dealt with _many_ call centres and foreign engineers, and the overwhelming majority of accent related miscommunication issues I've had were with Indians (to be fair China excluding HK/Taiwan is probably second, but a somewhat distant second). Now I appreciate that's only my personal experience, but it matches anecdotally with almost everyone I've ever discussed the subject with. If they really must outsource overseas, for the love of god stick with the Philippines. I worked for the Vodafone NZ based retention team up until recently. VF opened up a new tech department in India towards the end of 2018 to handle all enquires related to the new one bill system being rolled out to customer (combined mobile and broadband bills). We weren’t even allowed to touch ‘one bill customers’ it was an automatic transfer to India if we had one on the line. Trying to get anything done by them was a frasutraing process. Everything this insider has claimed is 100% accurate. ... says someone who created a GZ just to say this. I'll take that with a grain of salt. For all I know, you could be the person leaking to NZ Herald, and thus introduce a confirmation bias. India is not 7 hours behind NZ. They are 7½ hours behind at the moment, and 6½ hours during NZ non-day light savings time. A quarter? You'd be overcharged if it costs 1/10th.